SATURDAY DEC 4TH – Christmas Fair in the Saint Thomas Church – I ´ll be there for lunch at 12.30pm – join if you can or go by your own. SATURDAY DEC 11TH – We could make an excursion if you want – walking in nature f ex, let´s talk about it. 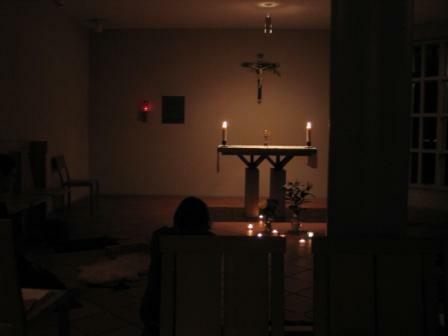 TUESDAY NOV 13TH at 7.30th – Taizé prayer (shorter) and then go out for a beer, just having a pleasant time together. WEDNESDAY at 12.10 pm: – Mass followed by lunch. Swedish Talking Course is finished for the semester.